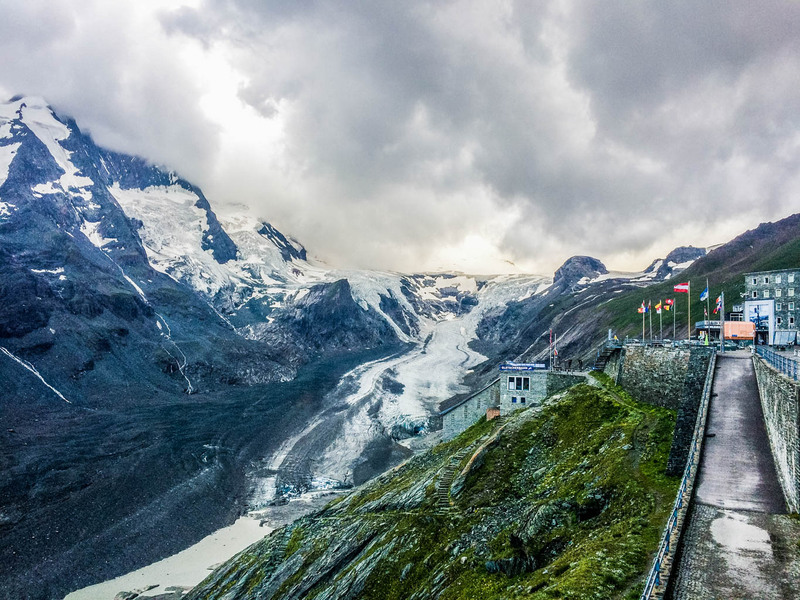 Ever since 1988 the hydrographical service of Austria has been monitoring the melting of glaciers and the run-off of the Obersulzbachkees, a glacier in the National Park Hohe Tauern in Salzburg in Austria. The surprising hot summer of 2003 triggered the hydrographical service to collect and present its finding in a series of posters. Hi, I would suggest that you visit the visitor center at the Josef Höhe and the new wilderness area and look at the data right there in front of your eyes. It is a understatement to call the melting of the Grosshlockner Kees dramatic, it just stunning. Even here on the other side of the mountains the temperature is rising rapidly year to year and the tourism industry is feeling it, the floods are alarmibg so that just Salzburg is investing year after year more than 20 mio into flood control and is relocating houses from the red zones into other areas. The latest austrian studies actually state that the temp rise will be double as high in the alps due to the loss of the snow cover. The ‘long-term’ monitoring results pick up the cold period around 1965, but end in the record heat-wave of 2003….with the time in between coinciding with the rise of a natural 80-year Atlantic oceanic cycle. Other neighbouring mountain areas – e.g. Sumava, in Czech Republic, have had flat temperatures for the last 10 years – so it would be interesting to see the data for Hohe Tauern and to know why that data does not extend beyond 2003.